Okay, so I am a major fan of all things chocolate. Ask my husband and former roommates – chocolate is one of my main food groups. 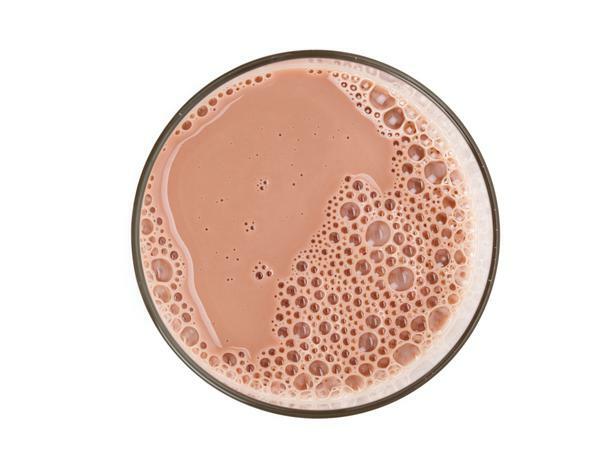 Naturally, I’ve always loved a cold glass of chocolate milk now and again but don’t always love the calorie count. Well this week my husband and I decided to try our hand at going Paleo. Why? I have no idea, but something about being healthy and getting in great shape. But seriously, our Chick-fil-A visits and bi-weekly donut runs had gotten out of control. We headed to Kroger for all the Paleo essentials: meat, fish, vegetables, fruit, and two different types of soy milk (Simple Truth vanilla and chocolate) since you’re supposed to steer clear of dairy. So by the time we got home I was craving ice cream OF COURSE, and so Taylor suggested a glass of chocolate soy milk. As you can imagine, I wasn’t too excited. Then I took a drink and you know what? It wasn’t half bad. In fact, it was pretty fantastic! Now I’m slightly obsessed with the chocolate soy milk – I had a glass at breakfast yesterday and this afternoon Taylor added it to our French Press for a nice mocha coffee treat.